Here at Recollections, we try to bring back history through accurate costumes and clothing items. The preservation and appreciation of history is one of our main missions. So, we set out to honor the different historical sites you can visit around the United States that give a truly accurate representation of the past. Whether it’s a historical society, plantation home, or living history village, these different preservation societies are committed to the same mission as Recollections, and are definitely worth visiting! Now, to be clear, these historical societies and locations aren’t ranked in any kind of order. We just gave them numbers to make this article easy to read. Colonial Williamsburg is one of the most famous historic villages in the United States. We had to include it on our list! As one of the most visited historic villages around, it has tons of resources and reenactors to educate its visitors about the Revolutionary War and Colonial Era. 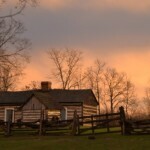 The Lincoln Log Cabin Historic Site is one of the most important historical sites in existence. Not only does it preserve the family home of what many consider to be our nation’s greatest president, but it also has many interactive exhibits that help visitors experience firsthand what President Lincoln’s childhood was like. 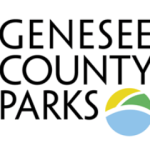 The Crossroads Village and Huckleberry Railroad is a part of the Genesee County Parks system. In this historic village, you’ll find many different preserved buildings, including an opera house, a general store, and various other historic homes. In addition, you can take the Genesee Bell, a historic ferry, or the Huckleberry Railroad, which will both throw you right back in time. Greenfield Village is one of the most interesting open-air museums because it is all based around the economy spurred by Henry Ford. Here, you not only can explore historic homes, but you can also test out the historic cars on display to get a firsthand taste of what it was like to live in during the industrial revolution in America. 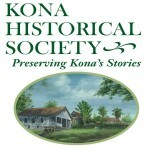 The Kona Historical Society aims to preserve the traditions and cultures of Hawaii’s native cultures. One of its historic villages, The Kona Coffee Living History Farm, is unique because of the high amount of visitor participation. Visitors can find themselves helping the reeanctors with any part of the coffee making process. And, on your way out, you can pick up some 100% Kona coffee to brew when you get home! 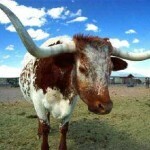 The New Mexico Farm and Museum has extensive archives that chronicle the rich agricultural heritage of New Mexico. It seeks to educate and preserve this culture for future generations. Visitors can enjoy everything from hands-on fun like milking cattle to wandering the educational exhibits at the museum. Pomeroy Farm educates its community about life on a pre-electric farm. In addition to having fun activities for the community and being a stellar venue for weddings, programs are set up to teach the youngsters at community schools about farm life before electricity, which looks very different from farm life today. 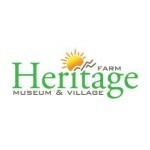 Heritage Farm Museum and Village in West Virginia not only has the capabilities to teach students about the past, but also has many events throughout the year for families to join in the fun. Their Way Back Weekends offer lessons on folk music, handmade ice cream, and old-time games. Overall, the Village makes sure it is a fun and educational experience for each visitor who comes through their doors. 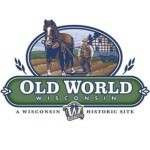 Old World Wisconsin is a historical site dedicated to teaching its visitors about life at the turn of the century. They teach workshops on pioneer living, and even offer a camp where kids can go away and learn about the struggles of pioneer life, all while making friends. Old World Wisconsin offers many different options for learning about Wisconsin history, which makes it accessible to many more people. 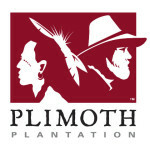 The Plimoth Plantation is an open-air living museum dedicated to teaching students about the Plimoth colony and the Pilgrims and Native Americans that live there. In addition to having special activities for school groups, you can even have a “pilgrim” actor come to your classroom and teach students about the colonies. The actual town has everything from a Mayflower boat you can tour to a historic village that you can explore. No matter what your interests are, you will be sure to find something exciting at Plimoth Plantation. 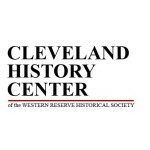 The Western Reserve Historical Society preserves and instructs the rich history surrounding the greater Cleveland area. In addition to saving historical artifacts like the carousel from Euclid Beach Park, it also holds special exhibitions on prominent figures in the Cleveland Community, sports teams, and everything in between. With high levels of community involvement, there’s no way we could leave the Western Reserve Historical Society off our list. The Maine Historical Society shows off the insane pride the citizens of Maine have for their state. With everything from instructions on how to use different resources to finding Maine-themed gifts for friends and family, there is nothing the Maine Historical Society doesn’t offer. 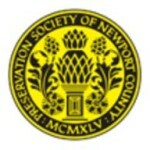 The Preservation Society of Newport County preserves many different parts of Rhode Island history, but it especially focuses on the gorgeous mansions in the Newport Area. Between the thousands of art pieces in the mansions and the ornate mansions themselves, this historical society has plenty to educate the public about. 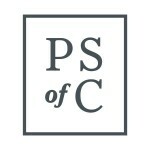 The Preservation Society of Charleston seeks to keep the history of Charleston, SC alive for its citizens. 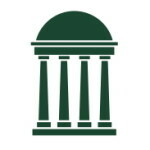 In addition to maintaining artifacts and building, this historical society also has a lecture series to teach about historic individuals, buildings, and Charleston in general. Between the special events at this historic society and the quality of their programs, it had to be included on our list. 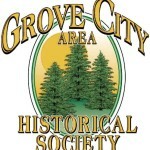 The Grove City Area Historical Society is interesting and unique because it has all the things you’d expect a historical society to have—a museum, historical homes, etc. But, it also has its own publications and genealogy chart. This is particularly important for those who are native to the town, because it provides a reliable way for those people to track their ancestry. The Atlanta History Center is a unique history center because it is an affiliate of Story Corps, has a living museum and farm, and also has lecture and theater series dedicated to discovering Atlanta’s history. Overall, this history caters to many different learning styles and is a great resource for historical information about the Atlanta area. 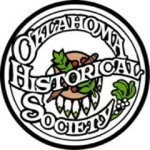 The Oklahoma Historical Society has many benefits: lists of the state’s museums, active social media pages, and even its own publications. However, its research center is what makes it truly unique. The access it gives the public to documents they can use for research, and the fact that these documents are available online, makes it even more incredible. 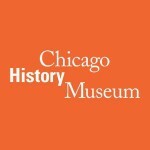 The Chicago History Museum is the premier place to find out information about Chicago’s rich history. It’s a combination of pride in their city, interesting perspectives on what we might think are ordinary items, research, and museum tours. 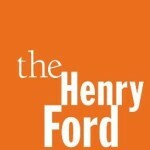 This is a great place to visit if you ever find yourself in the windy city. 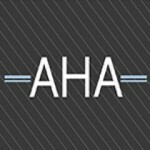 The American Historical Association doesn’t have many of the traditional traits of a historical society. 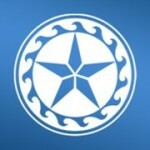 Its mission is to encourage research done by American historians through grants and other funding. 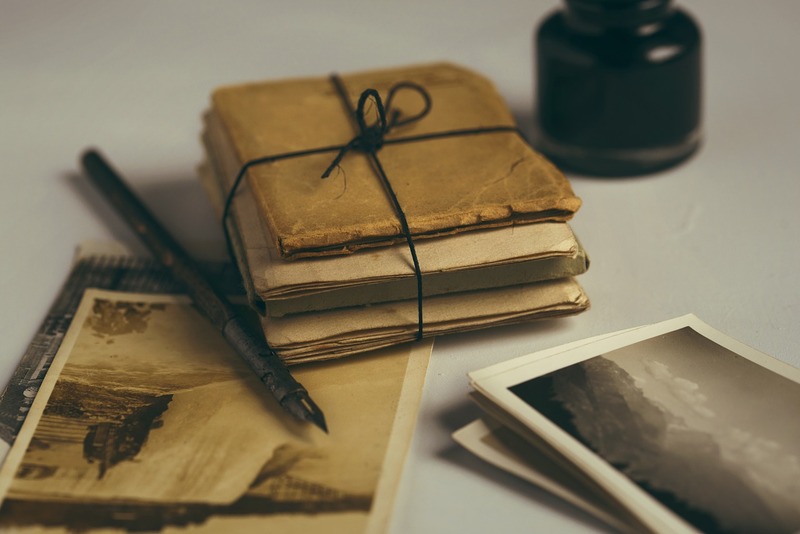 It has publications, resources for finding jobs, and is committed to the preservation of historical documents. Even though it’s not specific to a small area of the United States, it’s still one of the most important historical preservations we have. 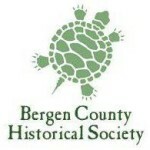 The Bergen County Historical Society has many interactive programs that make it a unique and special historical society. The different interactive educational programs at this society are perfect for not only school groups, but also families just eager to learn about their hometown. For research, all of the museum contents are online, which make it accessible to everyone in and out of Bergen County. Nothing could be better than visiting a founding father’s home and a beautiful southern plantation. 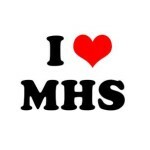 With Monticello, you get both. As Thomas Jefferson’s home, it isn’t short of historical significance, and it is just as beautiful as it is interesting. The grounds take at least two hours to cover, but it is well worth the trip if you are in the area. 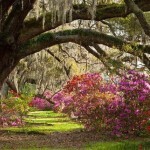 Magnolia Plantation is called that for a reason: its beautiful gardens full of exotic and unique flowers thrill guests every year. With private events, an on-staff garden expert, and tons of different conservatories and gardens, there is no shortage of things to do on the Magnolia Plantation. 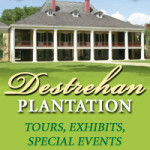 Drestehan Plantation in Louisiana is one of the most historically accurate plantations you can visit. Not only will this plantation give you a sense of the Antebellum South, but the history kept on the family that lived in the house throughout the 1800s is extensive. As you tour this facility, you’ll be able to view a number of historical demonstrations, including blacksmithing and open-hearth cooking. 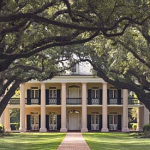 Oak Alley Plantation is definitely one of the most recognizable plantations: it’s seen in music videos, on TV series, and in movies all the time. Aside from it being a famous on-screen home, though, it also is unique because of its supposed haunted qualities. Between the history and myth that surrounds this gorgeous home, you’ll find plenty to explore at Oak Alley. Another historic presidential plantation that has earned a spot on our list is Montpelier Plantation, home to James and Dolly Madison. In addition to getting a window into the Madison’s life, the plantation has a plethora of resources on the Constitution of the United States, given that James Madison fathered it. 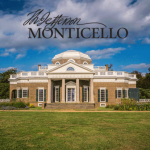 With the historical significance of the property and the gorgeous and unique architecture, Montpelier is a must-see in Virginia. 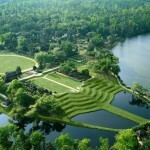 Middleton Place has some of the most gorgeous gardens in South Carolina, but it also has unique activities you can enjoy while on the grounds. Because the plantation is on the Ashley River, you can choose to kayak around the beautiful gardens. The option of horseback riding is also available. 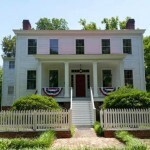 Poplar Grove Plantation is unique because of its bonds with the surrounding community. Farmers markets, herb sales, and even an animal sanctuary are all found on this plantation’s grounds. The strong commitment to nonprofit work and education within the community, especially with local schools, makes this plantation not only special, but a shoo-in for a visit. 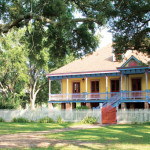 The Laura Plantation is rooted in Creole culture, a rich and often forgotten part of American history. What’s unique about Creole culture is that it’s a blend between Native American, Anglo, and African cultures, creating something truly unique. To get a taste for historic Creole culture that influences much of Louisiana today, be sure to visit this historic plantation. There’s a reason this gorgeous mansion is voted the number one wedding venue in its area over and over again. 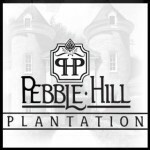 Between the beautiful house, grounds, and overall feel to the home, Pebble Hill Plantation is an A-plus choice. While visiting the home, you can explore all of the gardens, take a guided tour to learn about the interesting history of the home, or even play with the animals on the grounds. If you can’t make it to the physical plantation, you can even take an interactive tour online to learn more about the house. The Henry Flagler Museum at his estate in Palm Beach, appropriately named Whitehall, might not be a true southern plantation in the traditional sense, but it is just too beautiful not to include. 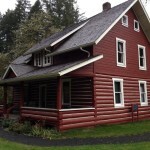 This home, built in 1902, has free tours led throughout the home. Many different exhibits pass through the home, including ones on Tiffany glass, and it is a museum dedicated to instructing about the Gilded Age in America.